Despite a growing number of airlines, price comparison websites and airfare search engines, many people still find searching for best airfares a stressful and tiresome task. Here are 7 tips to speed up the search, help you avoid mistakes and save you money when booking your next flight. Use the best flight search engines. Websites like Skyscanner, eDreams, Kayak and services like Google Flights can help you a lot. The most important trick is to use at least two of them, never be satisfied with results from just one. Some of the websites offer weekly and monthly views, price alerts and other tools to help you search. If you book through one of those websites you can sometimes get an even better fare than if you book directly with the airline. Be time flexible. Prices can differ considerably between the dates, even if they are close to each other. 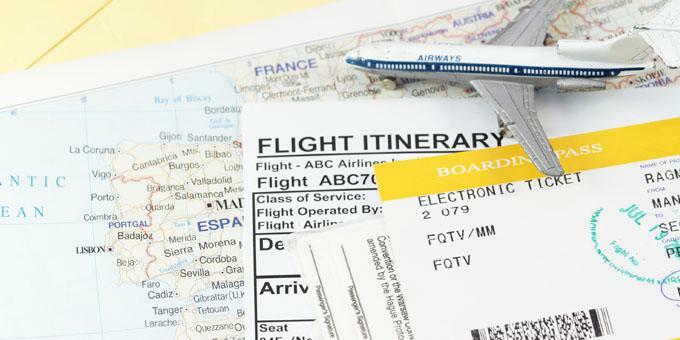 Airfares are usually higher on weekends and holidays and cheaper just after the major holidays. Flights on Saturdays can also be cheaper but there's no merit to the myth that buying on Tuesdays or Wednesdays will get you better deals. Follow the airlines. Either subscribe to their newsletters or check their social media. Every once in a while they publish fabulous deals, either cut-rate prices or free perks and upgrades. Do you know about the 24-hours rule? USA authorities require airlines to offer free cancellation up to 24 hours after booking. Some European airlines like Norwegian offer this on all US flights, others like Air France just for tickets bought in US, while some companies like British Airways have this as a general rule. Check the Terms & Conditions and if the rule applies, it still makes sense to search for better deals next day. If you happen to find one … don't hesitate to cancel the previous one. Take advantage of error fares. Sometimes airlines post incredibly low airfares by mistake. This is due either to some technical glitches or human errors. In any case you can safely book a flight with such a low fare. Error fares can be found on some flight search engines, travel blogs and websites like Fly4free. Take a look at the neighbouring airports. Taking a GoOpti transfer to an airport further afield with better connections can often be cheaper and even more time-efficient (just think about overlays) then flying from the nearest airport. Join the loyalty programs. You can collect air miles by flying, renting cars, booking hotels and even shopping at the loyalty program partners. One of the biggest loyalty programs in Europe is Miles & More. You can also join our loyalty program. Try out our tips next time you book your flight and don't forget about the most important thing: book early. It works for airlines and also for reliable, comfortable and professional GoOpti airport transfers. So, if there's a travel bug grabbing hold on you, don't hesitate and book a transfer now!